In particular tropical forests in South East Asia suffer from accelerating deforestation rates with about five million hectares annually getting lost to agricultural expansion (Achard et al., 2002). 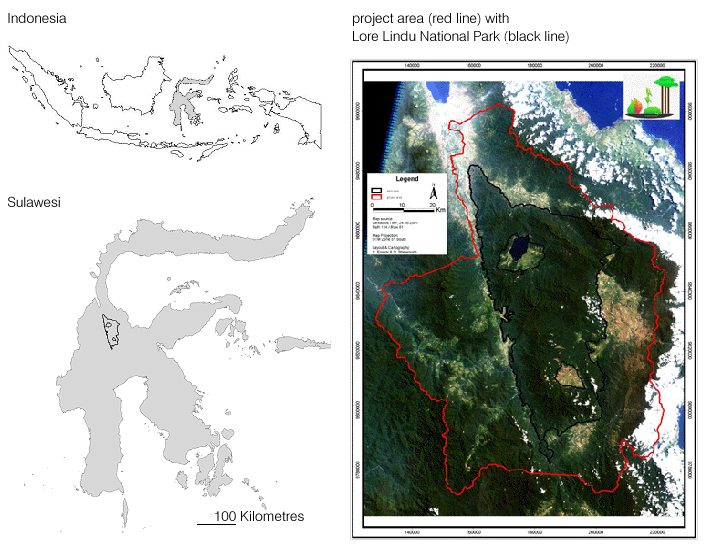 Indonesia is one of the world's most important hot spots in terms of biodiversity (Myers et el., 2000) but is also one of many areas where land use has prevailed (Scales & Marsden, 2008). Small-scale agroforestry systems that replace pristine tropical forests are of large interests because of their potential benefits to biodiversity conservation and ecosystem services (Rice & Greenberg, 2000), since complex agroforestry sites still provide a multistrata forest structure (De Clerck & Negeros-Castilli, 2000). Current management practises within Indonesian cacao agroforests follow a habitat simplification due to extensive weeding, removal of leaf litter, removal of natural forest trees and planting of a homogeneous shade tree cover from a single genus or a conversion into intensive full-sun monocultures. Biodiversity conservation across agroforestry systems has been related to low intensity management and remnant forest within the landscape, whereas species richness generally decrease with intensity of management and decreasing strata richness (Scales & Marsden, 2008). The interest in the relationship between biodiversity and ecosystem functioning (e.g. pollination, predation, seed dispersal) has increased considerably (Duffy, 2003) and is accompanied by recent efforts in agriculture towards reduced pesticide use and sustainable land cultivation (Maloney et al., 2003). Many studies in temperate and tropical regions has demonstrated that spiders can control herbivore populations, an important ecosystem service within agricultural systems. This study was conducted within cacao agroforestry systems in Central Sulawesi (Indonesia), within the Kulawi and Palolo valley, which verged on the margins of the Lore Lindu National Park (LLNP). The LLNP covers an area of about 2.300 km² and consists of lowland and submontane rainforest vegetation with an elevation ranging from 200 to 2,610 m above sea level. In 1982 the LLNP was declared as a UNESCO Biosphere Reserve. 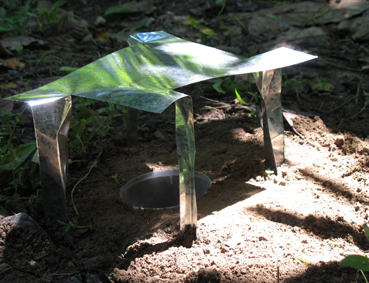 Spider communities were sampled using pitfall traps, branch eclectors (after Simon, 1995) and dip netting method. De Clerck, F. & Negeros-Castilli, P. (2000) Plant species of traditional Mayan homegardens of Mexico as analogs for multistrata agroforests. Agroforestry Systems, 48, 303–317. Duffy, J.E. (2003) Biodiversity loss, trophic skew and ecosystem functioning. Ecology Letters, 6, 680–687. Maloney, D., Drummond, F., Alford, R., Agricultural, M. & Station, F. (2003) Spider predation in agroecosystems: can spiders effectively control pest populations?. Technical Bulletin, 190, University of Maine. Myers, N., Mittelmeier, R.A., Mittelmeier, C.G., da Fonseca, G.A.B. & Kent, J. (2000) Biodiversity hotspots for conservation priorities. Nature, 493, 853−858. Rice, R. & Greenberg, R. (2000) Cacao cultivation and the conservation of biological diversity. AMBIO: A Journal of the Human Environment, 29, 1679−173. Scales, B.R. & Marsden, S.J. (2008) Biodiversity in small-scale tropical agroforests: a review of species richness and abundance shifts and the factors influencing them. Environmental Conservation, 35, 160−172.